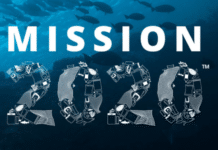 What if you could wear something that is good for the ocean? 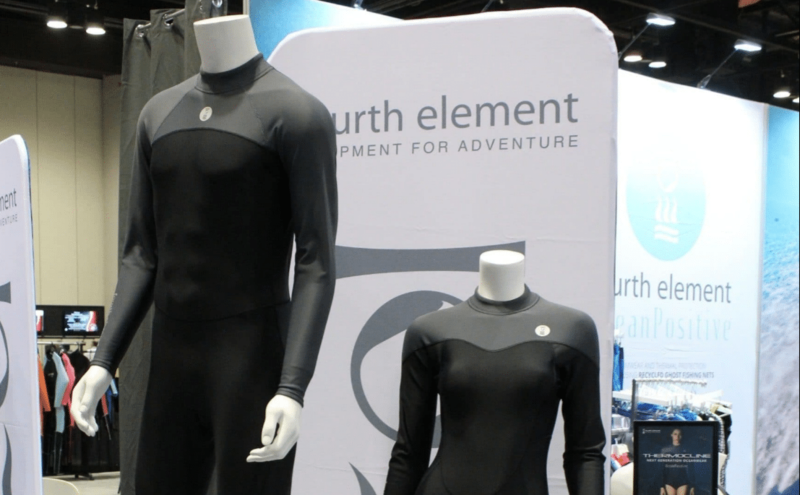 Fourth Element — one of the scuba diving industry’s greenest companies — has evolved their Thermocline wetsuit so that you can do just that. The British-based manufacturer launched the world’s first neoprene-free wetsuit 17 years ago. This year’s DEMA Show saw the announcement that this popular product is now fashioned to incorporate plastic from recycled post-consumer waste. 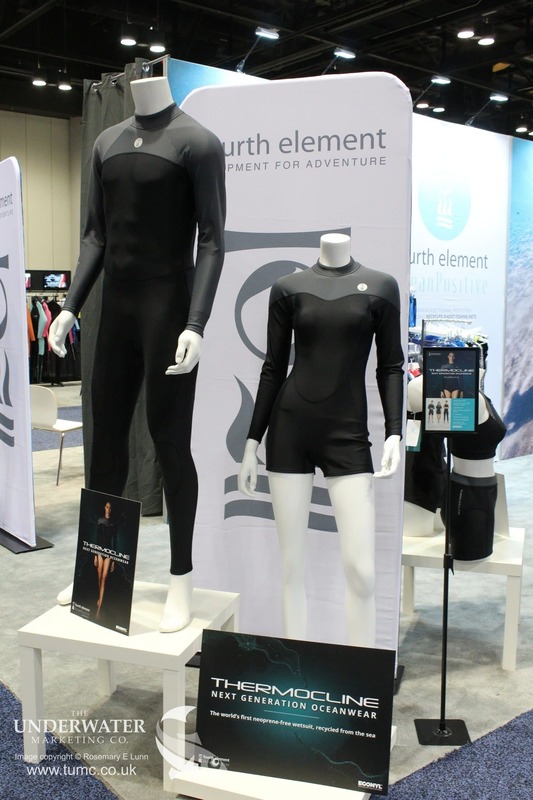 The much-imitated and emulated Thermocline wetsuit is constructed from Fourth Element’s unique fabric that now contains 78 percent ECONYL recycled nylon. This nylon is sourced from ghost fishing nets recovered from our seas by scuba divers. The fabric is then laminated with a waterproof membrane and thermal fleece. The resulting apparel is an ideal solution for those people who suffer from a neoprene allergy — either by entirely replacing the traditional wetsuit, or providing a barrier between the skin and the wetsuit itself. Fourth Element claim that donning their Thermocline may not instantly solve this challenging problem, however they have seen the Thermocline used with a great deal of success by neoprene allergy sufferers. This next generation of oceanwear comes in a range of lightweight, versatile garments: From a traditional one-piece suit, through to a long-sleeved top and leggings, shorts and vest, a hooded vest, and two different swimsuits. Accessories include two different hoods (one with a skirt), and long and short socks. The Thermocline can be scrunched up and stuffed into a corner of a dive bag when travelling. It is great to don — the hardwearing breathable fabric is super stretchy — and it provides the equivalent warmth of a 2.5mm neoprene suit, while of course being neutrally buoyant. You can dive it on its own, or to supplement and layer up under an existing wetsuit. And, whilst it is not the optimal solution, if you have nothing else to wear, you can dive it underneath a drysuit too. Apres-dive care is easy. 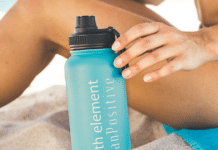 Fourth Element states that you can machine-wash your Thermocline, and recommends that you use their Sub-30 environmentally friendly washing liquid. Fourth Element’s Thermocline wetsuit is now fashioned to incorporate plastic from recycled post-consumer waste.